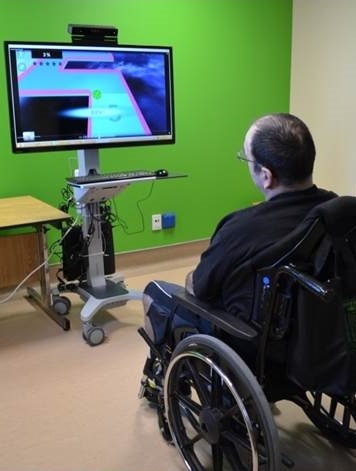 This non-immersive virtual reality system uses computer hardware and software to track a person’s movements, allowing him or her to interact with therapeutic games and activities on a television screen. Bruyère is currently undergoing research using VR with patients with stroke and mild cognitive impairment. VR is also being studied for use in inpatient and outpatient stroke, as well as in people's homes. The goal is to determine whether VR is an effective treatment post-stroke and if it an acceptable option to provide home-based rehabilitative exercise. This research group is also investigating training methods for therapists across Canada to use this technology with their patients. There is also a potential for this technology to be implemented in the homes of patients to encourage exercise at home. An innovative approach to stroke rehabilitation.